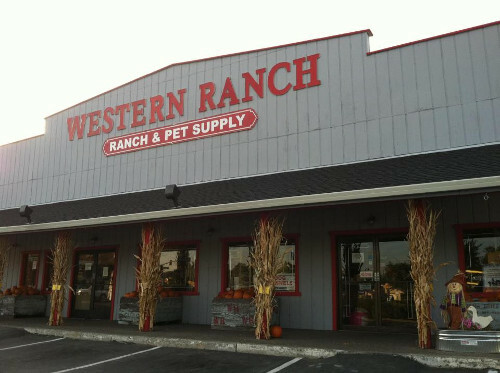 Western Ranch Pet Supply is a local family owned feed store in business since 1950. We help pet owners, farmers and ranchers in Solano County with their animal and equipment supply needs. Come visit us! Follow us on Twitter! At Western Ranch & Pet Supply we feel the need to help our customers as if they are family. We strive to be the best in the area, from carrying bags to hiring a knowledgeable staff. Please feel free to stop in at Western Ranch & Pet Supply where you and your pet will be part of our family! Big and small we feed em' all! Solano County's Largest Feed, Tack & Pet Store, Best Prices in Town, Farm Fencing, Gates, Panels, Wire, Hay & Grains, Veterinary Supplies, Saddles & Tack, Dog Food, Cat Food, Bird Food, Fish, Reptiles, Pet Food & Supplies, Baby chicks & Rabbits.